What is the meaning and relevance of that oft repeated question, “What is different about this night from all other nights?” Sometimes it is relegated to a recital, a cute recital, and a chance to involve the youngest children. There is great value in that, but as we grow older the question needs to grow and take root within us. 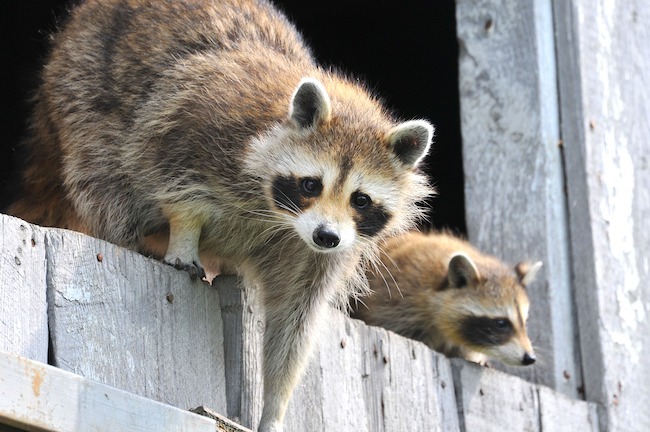 Here we are approaching Pesach and we have been hosting a family of raccoons in our attic. Actually it’s a mother and her babies. The father is not involved at this stage in high functioning raccoon families. As much as we love to entertain guests we realized that this is not a sustainable relationship so we called a pest control guy. He scouted out the situation and proposed a remedy. He put a trap on the roof of the house at the port of entry and placed inside the trap an irresistible slice of sweet apple pie. He tells us that raccoons eat anything but sweet apple pie is very high on their list of favorite foods. He carefully placed a camera on the roof facing the trap with a motion detector. He would get a signal the moment there would be any action and he would come right over immediately to take the mother to a repatriation center and then he would mercifully scoop up the children and reunite them with their mother and then everyone would be happy, both the Lams and the raccoons. He told us it would take not more than one day for the mother raccoon to exit the vent and enter the trap, but that’s not what happened. A few days went by and I get a call from the pest control guy, Chris. He sent me a few pictures and described exactly what happened. It was more than a highly unusual conclusion. He has been doing this work for many years and this may have been a first. He related the good news that the raccoon is gone. She left on her own. In the pictures he sent you can clearly see that the mother raccoon is staring at the trap and the sweet apple pie and then in the next series of pics she is seen carrying her babies out one by one. Chris added his expert commentary. His theory is that this mother has been in a trap before. She is not a first time offender. He said, that very often, but not by him, the animals remain in the cage for days before the pest control guy comes back to collect his catch. The animal is panicked and starved in the meantime and if there are babies involved the results are often tragic. He believes that this mother raccoon stared at the pie and the trap and chose to relocate rather than to risk everything for a brief nibble of sweet apple pie. I was amazed by the notion that a raccoon has such a memory of having been in a trap and thereby is able to choose to avoid taking the bait. It made sense to me! All’s well that ends well! Then it occurred to me that this is the story of Pesach. On Seder night we study the classic example of Egypt, remembering how we got trapped as a nation there. A good Jewish parent is deeply concerned lest we get stuck again in another exile and G-d forbid go-lost. The collective memory on “this night” carries a reminder of all the places we’ve been caught, subject to suffering, and worse. Therefore we call everyone together, all Jewish families all over the globe, for a team meeting. We are asking practically, “How is this night (this exile) different than all other nights (exiles)?” Woe to the general who fights the last battle. What are we up against now?! Mah nishtana – what must we learn and how must we change and adapt in order that our family and family culture survives? The sacred obligation on Seder Night to have this discussion is based on a verse that is stated in the singular, “You shall tell your child…” Not children, plural, each child. Even the mother raccoon knows to carefully carry her young brood out individually one by one!